Some encouraging news did come out of the Boston marathon blast that happened yesterday. 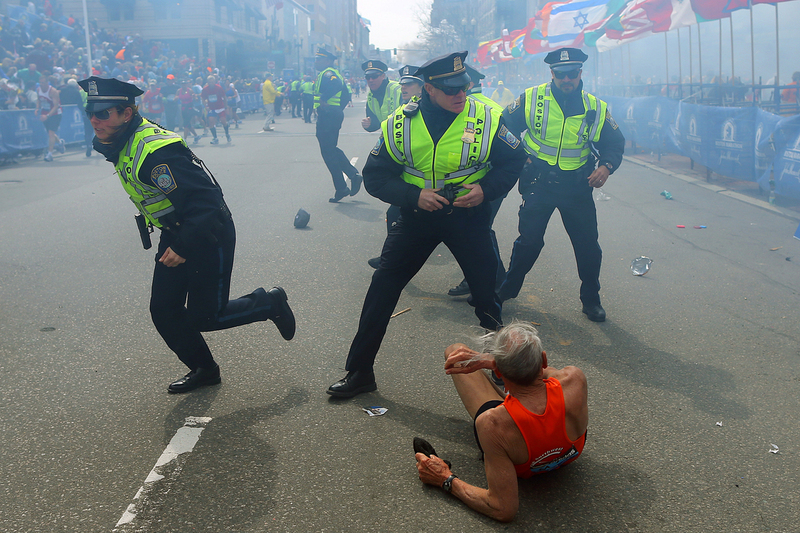 A 78 year old avid runner was knocked down by the blast but got up and finished the race! Bill Iffrig pictured below was participating in his third Boston marathon and came in second in his division, finishing the race with only a scraped knee. You can see him clearly in this looped video – Boston Marathon Explosion that’s been shared across social media platforms over 40,000 times. Bill is knocked over by the force of the explosion, yet gets up and keeps going through the finish line! !